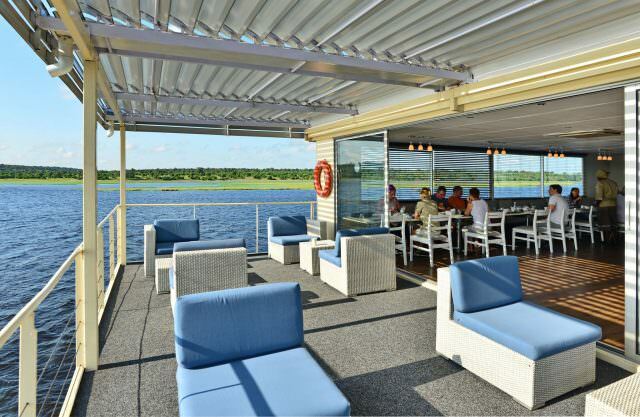 The M/S Zambezi Queen was specifically designed to sail and view the abundant wildlife along the Chobe River, and offers AmaWaterways’ guests an African Safari experience that is wholly unique to the line. Launched in 2009, the Zambezi Queen is 150 feet in length and has a beam of 25.6 feet. She carries just 28 guests in 14 comfortable staterooms. 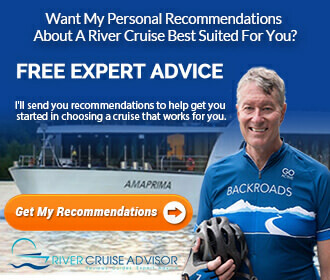 She’s also remarkably eco-friendly: hot water is produced through a solar heating system, and the Zambezi Queen uses water jet propulsion instead of traditional propellers, minimizing damage to the riverbed. Category SB Staterooms measure 215 square feet, and include an open-air private balcony. Category SA Staterooms are slightly larger, at 235 square feet and also include an open-air private balcony. Master Suites (Category MS) are the largest accommodations available onboard, measuring 300 square feet with a private balcony and sitting area. 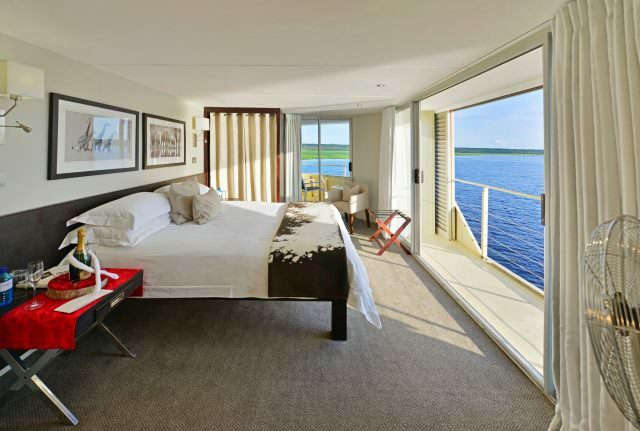 Aboard the Zambezi Queen, guests are treated to all the amenities of a luxurious boutique hotel. With only 28 passengers onboard, there’s no shortage of available space to relax and soak in the views of one of the most spectacular locations on Earth. A restaurant with panoramic views serves up breakfast, lunch and dinner, and guests can relax in the indoor lounge on Upper Deck or enjoy their beverage while cruising through some of Africa’s most pristine locations. A refreshing swimming pool is located all the way forward on Upper Deck, along with loungers for sunning. There’s also an onboard Lounge just aft of the Pool Deck, a Gift Shop, and a Cruise Director’s Office for any questions you might have during your voyage. Zambezi Queen features air conditioning in all public spaces, and in staterooms and suites. 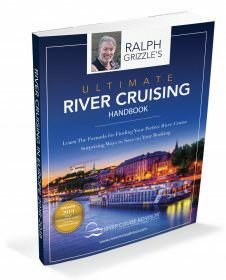 Read other articles about the Zambezi Queen.